In our Modern Across America issue, we spotlighted five American cities with design scenes worth watching. Despite its geographical separation from mid-century hotbeds such as Chicago and Southern California, Salt Lake City has long been connected to modernism in the United States. Here are some of our favorite Salt Lake City projects from the Dwell archives. 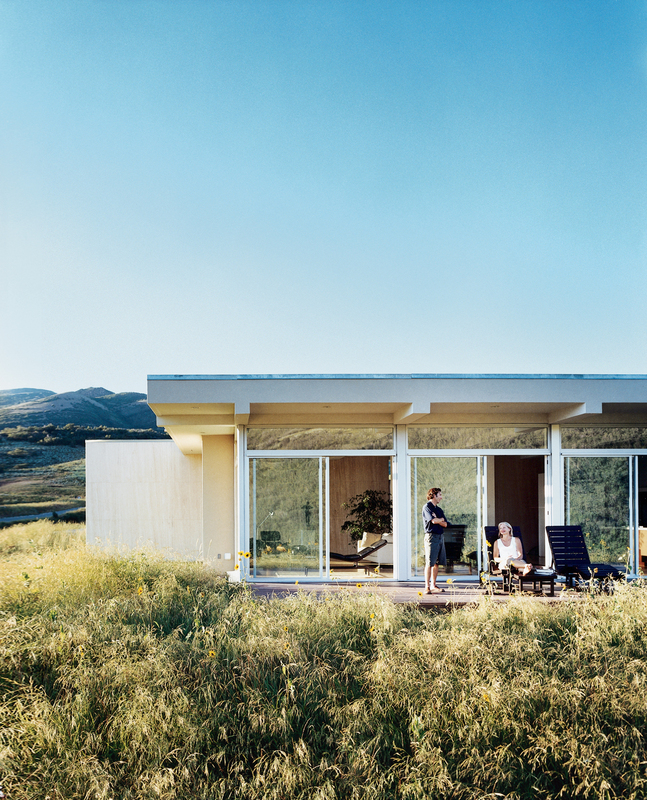 The Jespersen residence sits in virtual isolation atop Emigration Canyon. With its oversize sliding glass doors, flat roof, and meticulous attention to geometric principles, the home creates a haven in the mountain wilderness. The living room utilizes Eames lounges and a B&B Italia sofa to create a spare but comfortable environment. Sliding glass doors provide ample ventilation. Cassina cab chairs and curvilinear vases from Vietnam create a sense of calm, and provide a warm contrast to the strong clean lines of the interior. At The Green Ant in Salt Lake City, collector Ron Green supplies locals with a welcome, and well-priced, dose of modern design. Green’s recent scores include a reissued George Nelson Swag Leg Chair and a coffee table designed by John Keal for Brown Saltman. Modern Building Worth a Visit The 1961 IBM Building by James Hunter & Associates was among the first Utah structures to use post-tensioned concrete construction. Breakout Firm Local, woman-owned firm ajc Architects has built a number of residences, churches, and cultural institutions around town. Hometown Hero A Chicago-born modern architect who worked with and studied under Mies van der Rohe, John Sugden (1922–2003) contributed many International-style buildings to the city. Architectural Claim to Fame Moshe Safdie’s Salt Lake City Main Library. “Safdie’s library raised the community’s self-esteem about design excellence,” says Stephen Goldsmith, an associate professor at the University of Utah’s College of Architecture + Planning.